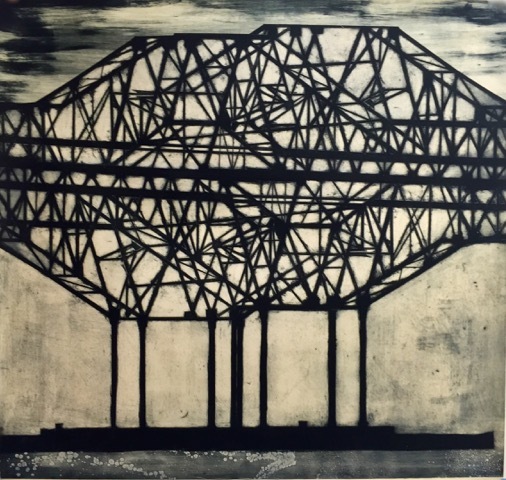 Jenny Robinson’s large-scale works on paper—prints clotted and heavy with ink—depict landscapes in post-industrial decline, populated by architecture on the periphery of everyday vision, abandoned and forgotten. Born to a family of engineers, her fascination with the nuance and proliferation of often-overlooked structural detail is reflected in her process. Pieces such as Harrison Street Billboard are documents that reveal the wear of time on built environments. A series of dry-point monoprints laid down on delicate Japanese paper, the images depict billboards in varying states of deterioration over a ten-year period, emphasizing the complexity of the structures themselves rather than the banality of the messages they carry. 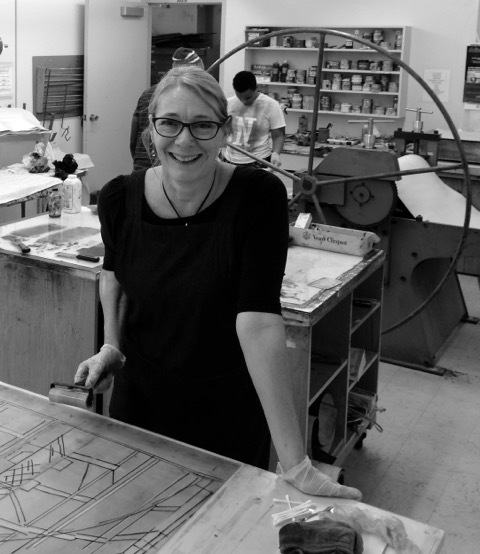 Jenny Robinson is originally from London and has lived in the Bay Area for the past 18 years. She is represented by The Davidson Gallery, Seattle, The Kala institute of Art Gallery in Berkeley, and Warnock Fine Arts in Palm Springs. Her work is included in many public and private collections worldwide. See Jenny's work at the Bellevue Arts Museum.